Alarm Clock is a plugin that lets you treat your devices as alarms. While there are many ways to accomplish doing this (i.e., via iCal events), this has a few unique features that I wanted in my own setup. For one thing this plugin has been designed around use on a control page where single taps of a graphic can manage the alarm. I have many uses for this in my Indigo setup already, but the one that really precipitated me writing it was my wife's crazy travel schedule. Often times she will have to get up a 3 or 4am to catch a flight and when it's this early she sleeps in the guest room. Because she is awesome she has fully embraced all my home automation geekiness and asks me to "set the house to turn on the lights in the guest room at 3am". I used a series of schedules and action groups to turn on the lights and then turn them off when she leaves the house. This plugin puts it all in one place. It does not have a snooze, I had considered adding this feature (and it would be quite simple to add) but when you consider the amount of effort required to wake up, grab your phone (or iPad), unlock it and tap the "snooze" graphic, you are likely wide awake . Then again you could tie the snooze to a Insteon button pad instead... Let's put a pin in that for "if people ask for it". This screen shot is just an example of how it can be used on a control page, the graphics are NOT part of this plugin! Install according to the Indigo documentation. Simply add a Alarm Clock device for each alarm you want to have and set the options. Say: What to say through Indigo when this alarm goes off. Leaving this blank will disable this feature. If Not Today Show +xxD: If this is disabled then the countdown to alarm / countdown to alarm off / Indigo device list text will show HH:MM. If this is enabled these displays will instead say, for example, "+01D" to let you know the alarm is more than a day away, once it is less than 24 hours it will revert to HH:MM again. One important action in case things go awry for some reason is Reset Alarm State. If something I haven't quite accounted for happens and the plugin errors out, running this will reset the alarm and turn it off. Another thing to note is that the readouts will show "HH:MM" or "HH:MM. ", the period is there to imitate how alarm clocks add a period to indicate AM or PM. If using 24 hour time this does not show up. This feature was designed this way because it worked quite well when using LCD Creator and looked just like an alarm clock. This only shows up on the alarm set time and alarm off time states, nothing else. If this becomes an issue for some folks then chime in and let me know and I'll see about reworking that, but even if you don't use LCD Creator it should still look good. Example: Your significant other gets up at 3am every Monday then gets ready for an hour and leaves the house. She sleeps in the guest room for early wake ups. This example turns on the lights at 3am then off at 4am. Awesome! I've got something a bit like this bodged together with various AppleScript, but this will do the job so much better! Yea, that's how this started life too, as a bunch of action groups, triggers and schedules. Then (like most of my plugins released here) I wrote a flimsy plugin to help and then am just finally polishing those flimsy plugins up to share on here. This is the result of all that, and the fact that this past weekend I got the "can you set the room to turn on at 3am" and thought "I'm going to complete that stupid plugin this week so she can do it herself". Presto . Or a.n.other iOS app that supports say a web service that Indigo can interact with? Quit all your day time jobs and do this full time..
How about adding the option for a simulated sunrise and music fade in? set the_playlist to user playlist "Radio Faves"
play track "Fr&#xe9;quencesrelaxation" of playlist "Radio Faves"
set deviceName to "Master Bedroom Keypad - B"
log "Sunrise Simulator raised " & deviceName & " to " & currentBrightness & "%"
-- brightening. Note the "minutesToSunrise / 2" and "repeat minutesToSunrise * 2 times"
-- above to account for the half minute increment. play track "CBC Radio One Winnipeg" of playlist "Radio Faves"
I had briefly considered adding in onAlarmOn and onAlarmOff to let you call Action Groups but it is a duplication of the same functionality I have in Scene Toggle and since this plugin supports that one I figured that would be a no brainer. That being said I could do is add the action group calls to the program quite easily. 1.1.0 now has action group calls as an option. At least in the meantime you can use that for your music and simulated sunrise/sunset until I think of good ways to integrate those in without rewriting the plugin . Screenshots and documentation updated as well. 16 minutes to implement a change.. that’s gotta be some kind of record! Dollar bills? 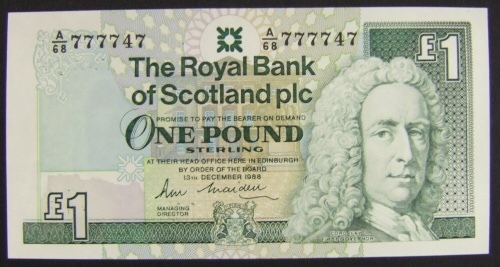 No way matey.. Scottish pound notes!! Thank you for your FANTASTIC contributions to the Indigo eco system!! I'm consistantly blown away the the caliber of talent we have in this group!